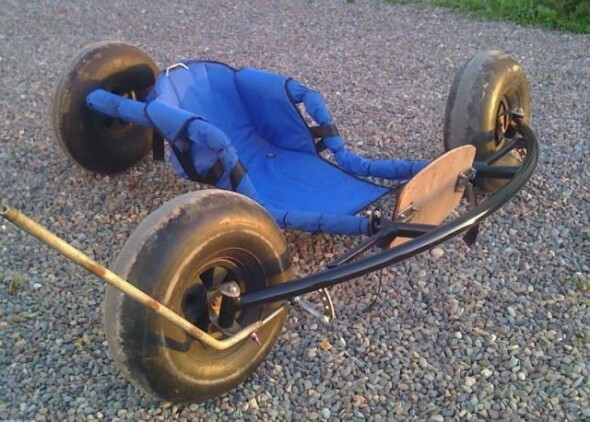 This is one of the prototypes that I have built and tested, so I know it is a fun ride. 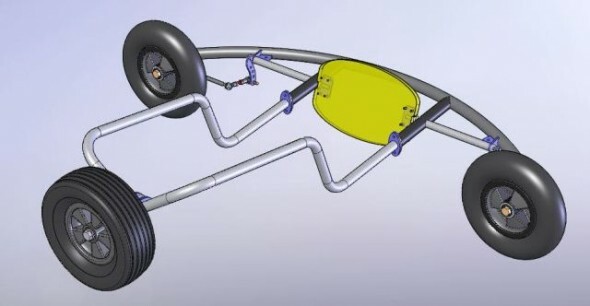 The adjustment for the pilot legs is done through the position of the seat, since the frame itself is not adjustable. If you are a shorty-pants or a giant, you might need to change the size of the frame. Cutting, bending and welding steel can hurt your fingers, burn your eyes, squish your toes. 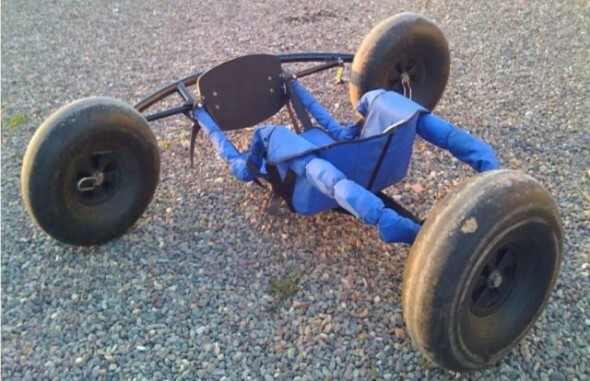 Riding a three-wheeled chariot at high speeds tethered to a powerkite can cause serious injury, death or worse : hurt a little kid playing with a plastic bucket and shovel in the sand. I can’t be held responsible for any dire consequence of the use of these drawings.